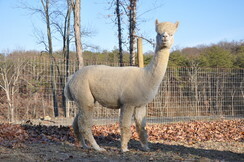 Daisy is a stunning beige champion female out of two parents of color, our Jasmine and Snowmass Enchanter. 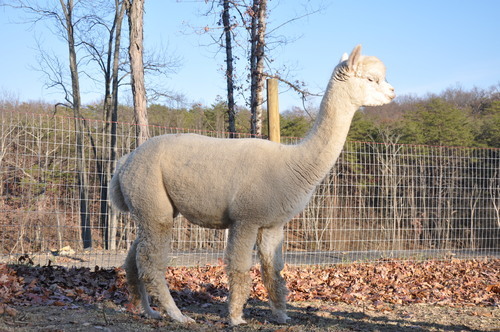 She has crimpy, soft fiber with a wonderful handle and the most EXTREME density we have seen on a female in our 10+ years of breeding. 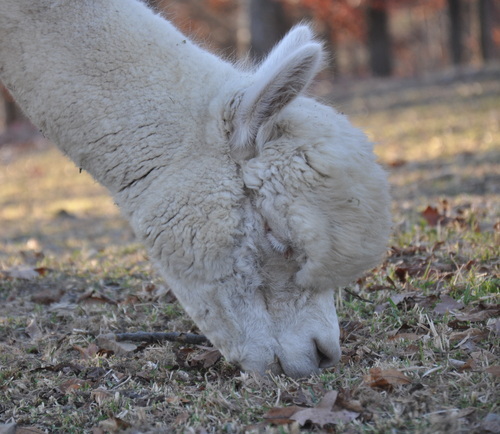 Daisy is a gentle, easy alpaca to work with and would be a great addition to any program. She is a wonderful attentive mother with lots of milk. 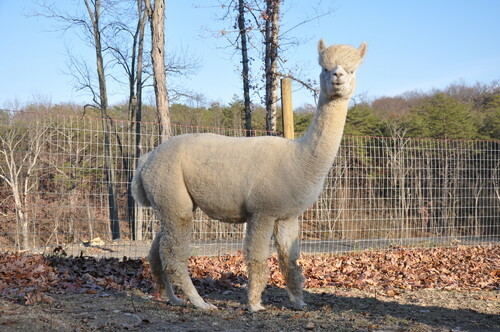 Her crias have easily doubled their birth weights in the first month. Sugar Magnolia (Maggie) is just lovely in every sense. 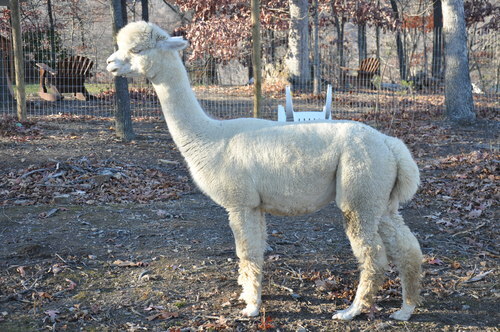 Her white fleece cracks open to expose tight bundles of glowing, uniform fleece with loads of crimp from skin to tip. The crimp is tight, high frequency, high amplitude and consistent. It is equally impressive throughout the blanket, down her shoulders and into her rumps and thighs. This past year she produced 2600 yards of lovely white yarn - a knitter's dream come true! She recently gave birth to a stunning young boy - John Henry. She's a wonderful Mom!